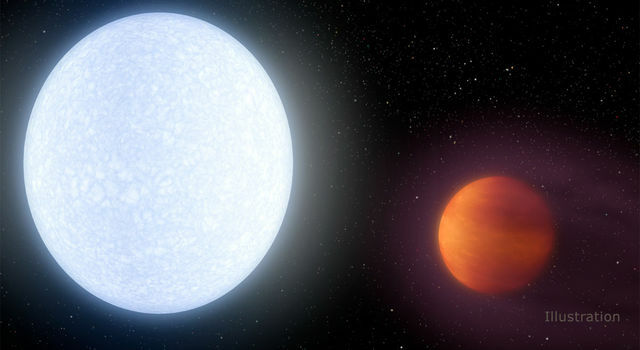 "Our new stellar neighbor is a pleasant surprise, since we weren't looking for it," said Dr. Bonnard Teegarden, an astrophysicist at NASA's Goddard Space Flight Center, Greenbelt, Md. Teegarden is lead author of a paper announcing the discovery to be published by the Astrophysical Journal. This work has been done in close collaboration with Dr. Steven Pravdo of NASA's Jet Propulsion Laboratory, Pasadena, Calif. If its estimate of distance is confirmed, the newfound star will be the Sun's third-closest stellar neighbor, slightly farther than the Alpha Centauri system, actually a group of three stars a bit more than four light-years away, and Barnard's star, about six light-years away. One light-year is almost six trillion miles, or nearly 9.5 trillion kilometers. "We discovered this star in September 2002 while searching for white dwarf stars in an unrelated program," said Teegarden. The team was looking for white dwarf stars that move rapidly across the sky. Celestial objects with apparent rapid motion are called High Proper Motion objects. An object of this type can be discovered in successive images of an area of sky because it noticeably shifts its position while its surroundings remain fixed. Since either a distant star moving quickly or a nearby star moving slower can exhibit the same High Proper Motion, astronomers must use other measurements to determine its distance from Earth. 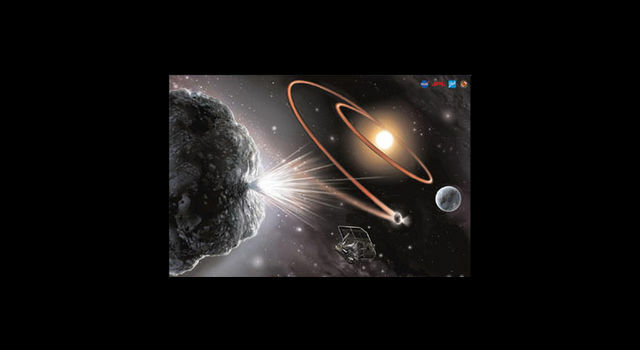 During its star search, the team used the SkyMorph database for NASA's Near Earth Asteroid Tracking program, to search for asteroids that might be on a collision course for Earth. Pravdo is project manager of the asteroid tracking program and is principal investigator for SkyMorph, which was separately supported by NASA's Applied Information Systems Research Program. Like High Proper Motion stars, asteroids reveal themselves when they shift their position against background stars in successive images. Automated telescopes scan the sky, accumulating thousands of images for the Near Earth Asteroid Tracking program, which have been incorporated into SkyMorph, a web-accessible database, for use in other types of astronomical research. Once the star revealed itself in the Near Earth Asteroid Tracking images, the team found other images of the same patch of sky to establish a rough distance estimate by a technique called trigonometric parallax. This technique is used to calculate distances to relatively close stars. As Earth progresses in its orbit around the Sun, the position of a nearby star will appear to shift compared to background stars much farther away -- the larger the shift, the closer the star. 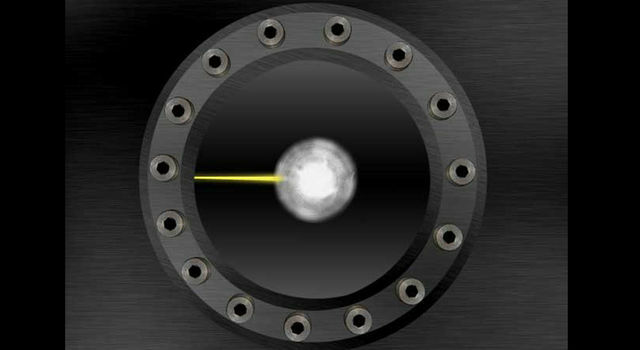 The team refined their initial distance estimate with another technique called photometric parallax. 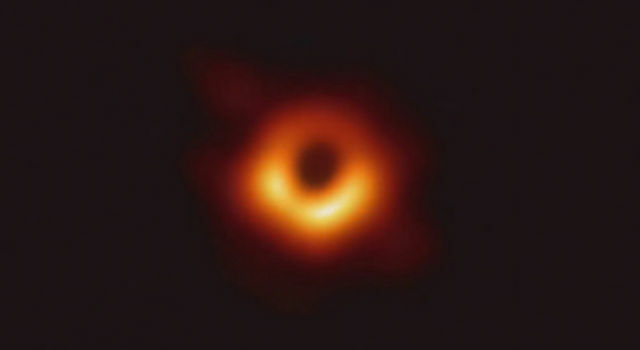 They used the 3.5-meter (11.5 feet) Astrophysical Research Consortium telescope at the Apache Point observatory, Sunspot, N.M., to observe the star and separate its light into its component colors for analysis. This allowed the team to determine what kind of star it is. The analysis indicates it's similar to a red dwarf star (spectral type M6.5) that's shining by fusing hydrogen atoms in its core, like our Sun (called a main sequence star). 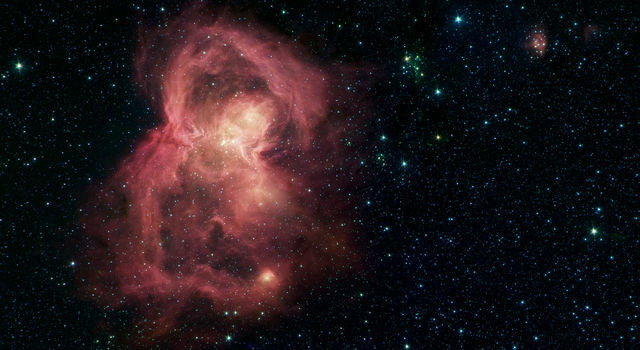 Although the star resembles a M6.5 red dwarf, it actually appears three times dimmer than expected for this kind of star at the initial distance estimate of 7.8 light-years. The star could therefore really be farther than the rough trigonometric distance indicates; or, if the initial estimate holds, it could have unusual properties that make it shine less brightly than typical M6.5 red dwarfs. A more precise measurement of the new star's position to establish an improved trigonometric parallax distance is underway at the U.S. Naval Observatory. This will confirm or refute its status as one of our closest neighbors by late this year. Either way, we might get even more company soon: "Since the survey only covered a band of the sky (about 25 degrees in declination), it is entirely possible that other faint nearby objects remain to be discovered," said Teegarden. In addition to Teegarden and Pravdo, the team includes Dr. Thomas McGlynn of Goddard Space Flight Center; Dr. Michael Hicks and Dr. Stuart Shaklan of JPL; Dr. Suzanne Hawley, Kevin Covey and Oliver Fraser, of the University of Washington, Seattle; and Dr. Iann Reid of the Space Telescope Science Institute, Baltimore, Md. JPL manages the Near Earth Asteroid Tracking system and SkyMorph for NASA's Office of Space Science, Washington, D.C. JPL is managed by the California Institute of Technology in Pasadena.